Rep. Adam Kinzinger (R-IL) criticized Wisconsin Governor Tony Evers (D) for pulling his National Guardsmen from the U.S.-Mexico border. 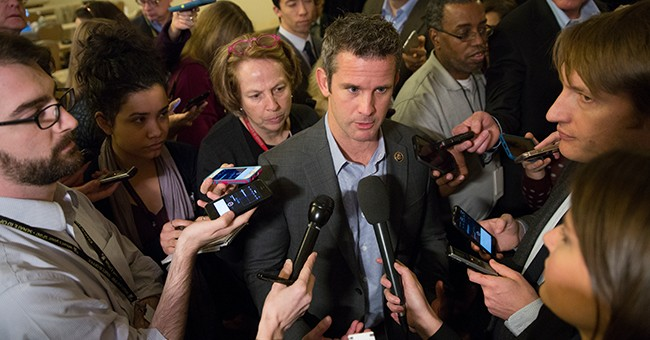 Kinzinger was recently deployed to border since he is still an officer in the Air National Guard. “As a member of the WI Guard, I saw firsthand the amazing work by my fellow guardsmen. Stopping illegal immigration is quite an honorable mission, but since @GovEvers doesn’t agree, let me share a few more things his Guard did this week,” Kinzinger tweeted. On the mountains, we captured a few coyotes, who prey on desperate migrants & charge them hefty sums to guide them to the border. Often times, they desert those migrants if they fear getting caught. Coyotes also commit assaults, rapes, & murders to these vulnerable individuals. One such example came midweek when I found a woman alone in the rugged AZ terrain and through our coordination, @CBP was able to rescue her from dying alone in the desert.
.@GovEvers, your guardsmen saved many lives and protected our country on this mission. Did you go visit them on the border to see for yourself? Or did you make your decision based solely on politics? “I’m grateful to my fellow Wisconsin Guard members, and I’m deeply disappointed you won’t let them do what they are trained to do for the good of the country. @GovEvers, I hope you’ll reconsider,” Kinzinger concluded. Prior to joining Congress, Kinzinger joined the Air Force in 2003 and was deployed to Iraq and Afghanistan.